I can’t help but wonder if the young people of today are being heard. How many of us know what they are thinking? My observations show that it is almost impossible for a youth to get employed despite having struggled to get a good education. At what point do they give up and let their life go a different way? We are living in an era where employment is becoming almost impossible to get as a youthful person. The majority of young men and women with great academic achievements and others with rich technical skills are looming the streets of many towns in our country with no hope of where to get employment, how to get employment and who to offer them with employment. The youth unemployment rate have escalated to unprecedented levels. According to Central Statistics Office (CSO) in the monthly volume 191 of 2019, the youth unemployment rate was estimated around 17.6 percent in the fourth quarter 2018. The figure is indeed quite a high in itself and every well-meaning Zambian must be concerned about it. I have consciously observed that the mind of unemployed young man and woman is slowly becoming dangerous and vicious. A youthful person with the zeal to give out positive energy tends to give out negative energy instead resulting from unemployment. The mind of the young engineer from the University of Zambia (UNZA) is slowly becoming frustrated day by day due to unemployemnt. The mind of the youthful mathematician from the Copperbelt University (CBU) is slowly losing potential for the positive energy. The mind of the planner from CBU is slowly losing hope for the future. The mind of the forester from CBU is slowly giving up on life to mention just a few. While government and private sector continues to deny youths of employment opportunities, it is slowly cultivating bad vices leading to negative energy such as alcohol abuse, drugs, prostitution, theft, mental disorders. The youth of today are collectively becoming bitter at government for failing them. 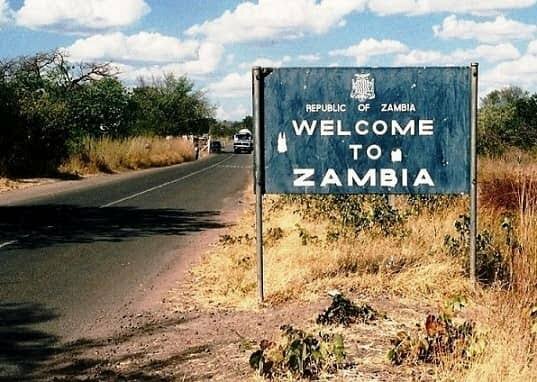 Considering the high levels of youth unemployment in Zambia, it is clear that government has failed to create a conducive environment for youth employment. Government has failed to employ young graduates in almost all sectors of the economy. The 65 years retirement age is both a punishment and a curse to youth with positive energy. Negative political cadres have taken pre and deprive deserving youth with positive energy of various employment opportunities. The mind of the youth is angry. Most of employment opportunities for youths have gone to the corrupt and selfish politicians. Probable chances of youth employment have been sold to the unprofessional cadres who are unproductive. It is difficult for a youth to get a government tender. It is almost impossible for a youth to get employment without having any relations with the human resource, or some big fish of the company, or a politician etc. Many government departments across the country have unfilled vacancies and officers have more workloads than normal to cover up yet there are a lot of youths crying looking for jobs. It is unfortunate that the unemployed youth did not envision this negative energy making him or her furious. While government and private sector continues to deny youths of employment opportunities, it is slowly cultivating bad vices leading to negative energy such as alcohol abuse, drugs, prostitution, theft, mental disorders. Youths strive to wake up to hope, vision and determination but seems not to see light at the end of the tunnel. Government must reconsider adjusting the retirement age from 65 to 55 years in order to create opportunities for youth employment in the country. Government should create a conducive environment for youth employment in private and public sectors. Government need to provide zero tax for start-up businesses for youths. There must be fiscal prudence of public resources to create opportunities for youths. Above all, government must prioritise the creation of manufacturing industries which have potential to create youth employment. While this seems better said than done, it is not impossible for government to accomplish.